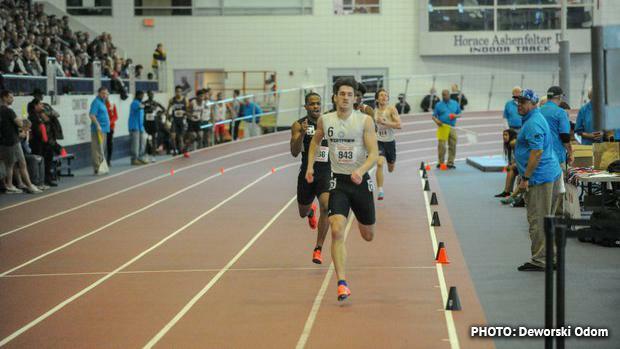 Five boys under this spring having run times a year ago under 49 seconds and that list is sure to grow this spring, in what should be a good season for boys quarter milers in PA. The top returner is Julian Klenner of Westtown. He ran 47.45 last summer in AAU, by far the quickest returning time in the state. He won the PAISAA last year, as well. Then this winter, Klenner took home the state title in the indoor 400, running 48.16 from the third of four heats. He'll look to follow that up with even more success this spring. The Haverford School's Dan Whaley went 48.90 last spring and will look to challenge Klenner in the 400 at PAISAAs this season. As for the PIAA's Class AAA, we should see some quick times this spring. Pennridge's Andersen Dimon has the fastest returning time at 48.14. He was fifth at outdoor states. He had a big indoor season that saw him place second in the 400 to Klenner. He'll look to convert that into outdoor gold this season. But the top returner based on state meet finish from last spring is Joseph Bruno of Mechanicsburg. He had a big breakthrough season last year, and now he's among the favorites in the 400 this spring. He comes back with a best of 48.41 from states last year. Those two are the only AAA medalists back from a year ago, but there's plenty of talent after that. Saint Joseph's Prep's Salim Epps went 48.58 last year. he was sixth at indoor states this past winter. Upper Darby's Gbarwho Flahn, Harrisburg's Jajuan Oliver, Upper Saint Clair's Isaac Kane will also be worth keeping an eye on this season in AAA. Neshaminy's Davion Hebron (fourth at indoor states) should figure into the equation as well. In AA, the one to beat is Girard College's Donovan Sanders. He took fourth last year at outdoor states, but has already topped his outdoor best during the indoor season. He went 48.69 at indoor states to take third at PSU. The junior is just one of two returning state medalists in AA. The other is Jackson Coyne of Riverside (7). Coyne was seventh at outdoor states last spring. Check out the top 1000 returners in the boys 400 meters and watch an interview with Klenner at the indoor state meet below.